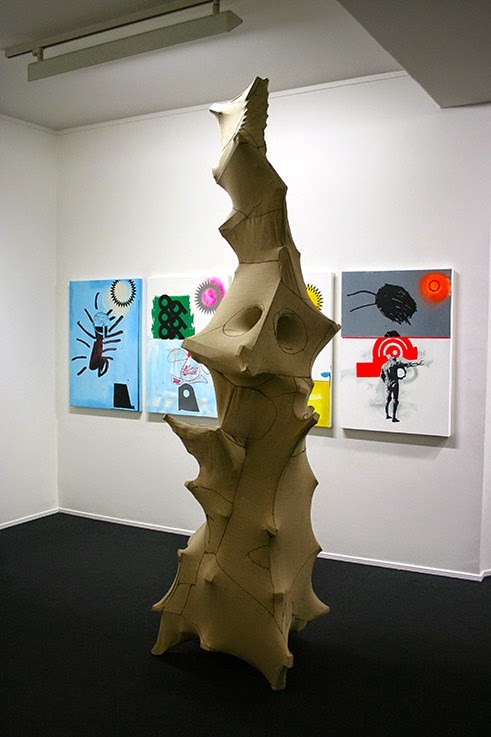 German Art 2015 at Oslo-based Galleri K brings together painting, photography and sculpture by different generations of world-renowned German artists placing a 1960s work by Bernd (b. 1931- d. 2007) and Hilla Becher (b. 1934) as a starting point. The exhibition’s visual appeal stirs up expectations of a historical display. As such, the challenge is to bring curatorial cohesion to a large and eclectic selection of pieces. Devoted to the documentary and analytical qualities of photographic art established by the 1920s German tradition of Neue Sachlichkeit (New Objectivity), the Becher's work takes a prominent role. The collaborative duo's set of 15 black and white photographs, Winding Towers (1961-1982), anchors a stronghold of German photography. Alongside their Rombas, Lorraine, F. (1984) and Blast Furnace, Boel, La Louviére, B. (1985), Winding Towers gives a glimpse into Europe’s industrial history. 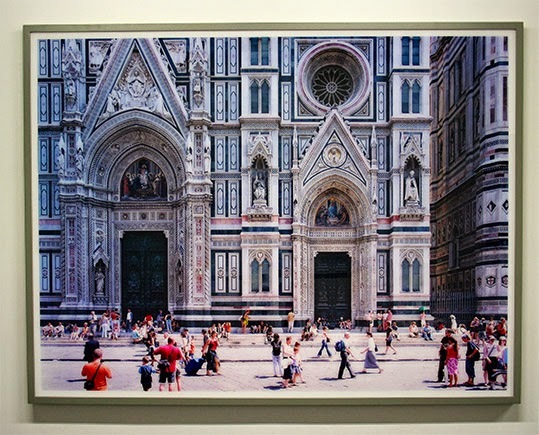 Like the Becher's other students at the Düsseldorf School of Photography, Thomas Struth (b. 1954) and Axel Hütte (b. 1951) updated their teachers’ documentary approach by applying new techniques and adding a personal and contemporary touch. Struth's Duomo di Firenze (2004) and Hütte's Pan Am, NYC (2002) gently build on the Becher's approach, reflecting the power of an image. 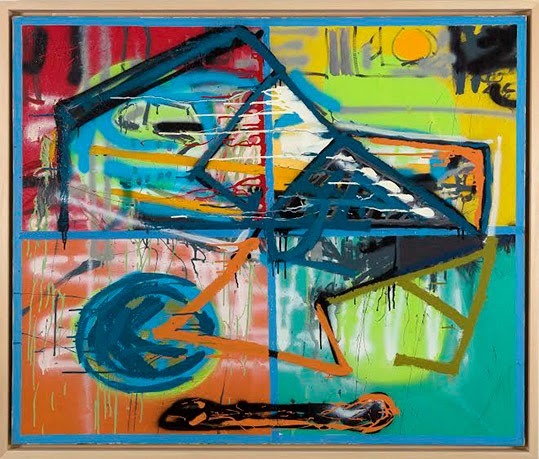 There are several other works worth mentioning: Schwarzwaldhaus (1982), an abstract colourful oil on canvas by Martin Kippenberger (b. 1953 – d.1997) bursts with the troubled artist's liveliness yet presents an unexpectedly calm visual experience. 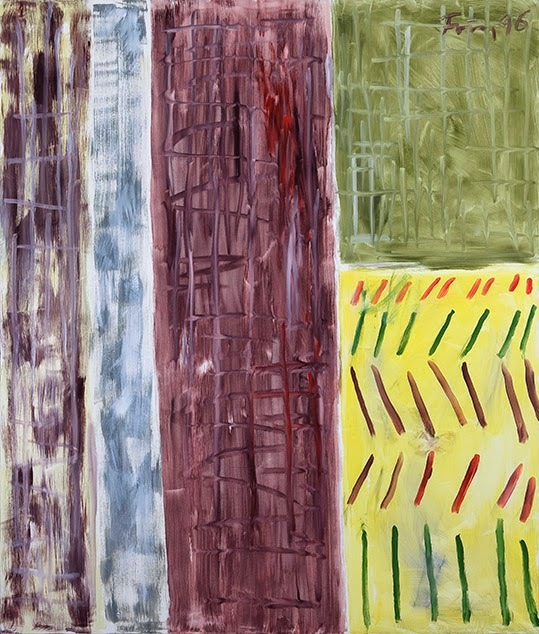 Untitled (after Edvard Munch) (1996) by Günther Förg (b. 1952 – d. 2013) features gloomy colours and lines divided into restrained blocks of narratives. Ursa Major Feminae (1989) by Georg Herold (b. 1947), a sculpture suggesting the female form embodies a well-known characteristic of Herold’s practice - pieces recognisable by means of their suggested possibilities of representation and not necessarily by content itself. 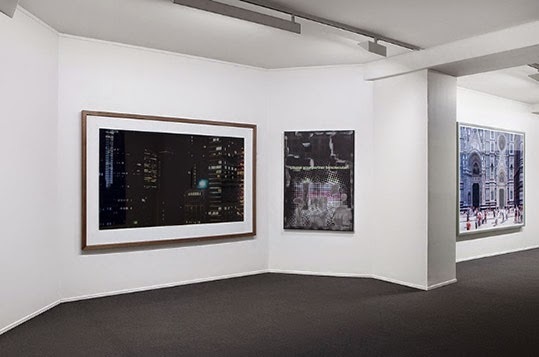 The exhibition continues mostly with works from mid 80s to the present and includes Albert Oehlen (b. 1954), Johannes Wohnseifer (b. 1967), Wolfgang Tillmans (b. 1968), amongst others. On the one hand, the group show is a great treat for the art-loving public who will undoubtedly find visual nourishment when entering this treasure trove of quality works at the end of an Oslo cul-de-sac. On the other, there is the issue of creating a coherent narrative and the exhibition does not always live up to curatorial challenges.